What books should you read to help you with the college application process? Megan and Gretchen both have bookshelves chock full of important resources for families! 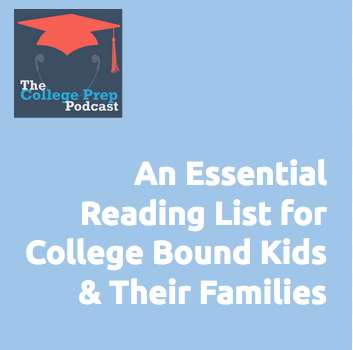 In today’s episode, Megan shares some juicy nuggets about her favorite books about the college application process. The Hidden Ivies: 50 Top Colleges – from Amherst to Williams – That Rival the Ivy League. The Fiske Guide to Colleges. The Gate Keepers: Inside the Admissions Process of a Premier College.